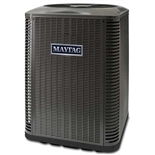 The B6BMMX air handler by Maytag offers durable performance. This air handling model includes Micro-Channel coils for increased resistance against the number one cause of coil leaks corrosion. Dependable Protection: The galvanized steel outer shell has the option of a white decorative panel. 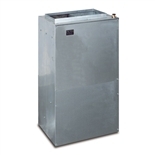 Corrosion Protection for Long Life: Minimize instances of coil leaks with this air handler. It includes an Micro-Channel coil for increased resistance against corrosion. 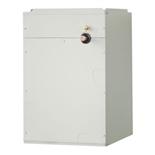 Enjoy Low Noise Levels: This air handler operates at extremely low noise levels due to a fully insulated cabinet. Dependable performance with exceptional protection is provided by the B6BW series of air handlers. This particular model can be mounted on a wall and is great for homeowners who live in multi-family residences like apartments or condos. Dependable performance and maximize efficiency is achieved with proper coil and cooling system matching. 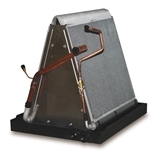 The C7BAM0 works with your air conditioner or heat pump to provide excellent cooling capabilities throughout your home and sits on top of your furnace. Match Your Specifications: The C7BHM0 coils comes horizontal ready for installation flexibility. Tough Coating: The durability of this unit is increased by using a galvanized steel shell coated in a corrosion-resistant, polyester-urethane finish. Deal with Corrosion: The dependable coil used in this unit is all-aluminum and greatly reduces the risk of a coil leak due to corrosion. 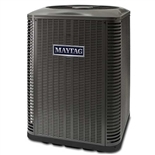 Highest Efficiency Levels: To achieve maximum efficiency, this air conditioner should be paired with an air handler or gas furnace with an energy-efficient motor. This proper system matching can result in maximum cooling efficiency. When you are having a new air conditioner installed in your home, you need dependability assurance. 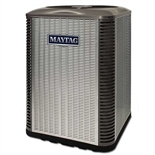 The Maytag M120 CSA1BE air conditioner offers a dependability promise. 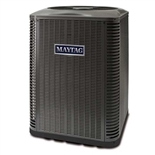 When you properly pair this unit with Maytag air handlers or coils, you can expect high-quality, up to 15-SEER cooling efficiency. Complete Comfort: This model operates in two cooling stages for maximum comfort and efficiency. Plus, two-stage operation means ultra-quiet performance. Advanced Coil Technology: Model includes a Micro-Channel coil for increased durability and eco-friendliness. Quiet Operation: In addition to two-stage operation, this model features a compressor sound blanket and swept-wing fan blades that further reduce noise associated with operation. 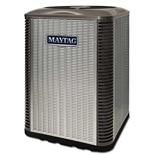 The Maytag CSA1BF offers extra-high, up to 16-SEER cooling efficiency at a budget-friendly price tag. This unit features technology improvements that make it a smart choice for homeowners looking to increase home comfort while reducing utility bills. Innovative Coil Technology: Model features an all-aluminum Micro-Channel coil for increased durability and eco-friendliness. Designed for Durability and Serviceability: Painted steel, removable jacket panels protect the unit from damage caused by extreme weather, and make it easier for a contractor to maintain or service the unit. Quiet Operation: A compressor sound blanket and swept-wing fan blade have been designed to significantly reduce unwanted noise. The CSH1BE heat pump offers a winning combination of efficiency and affordability. This model, when properly matched with an indoor unit containing an energy-efficient motor, can achieve up to 15-SEER, 8.5 HSPF efficiency - qualifying for an ENERGY STAR designation. Looking for a leading air conditioning system? The PSA1BG, 20-SEER iQ Drive air conditioner could be the air conditioning solution youve been looking for. Not only is this unit efficient, but it offers premium home comfort levels and low sound levels associated with operation due to the units modulating operation. Micro-Channel Coil Technology: All- aluminum Micro-Channel coils combat coil leaks by fighting corrosion. Increased Protection of Interior Components: Crucial components are protected from damage and corrosion with this stainless steel jacket. Carefully Designed Jacket: This unit is designed using heavy-duty materials. The galvanized steel jacket is durable and coated with a corrosion-resistant, polyester-urethane finish. Looking for exceptional, energy-efficient performance? 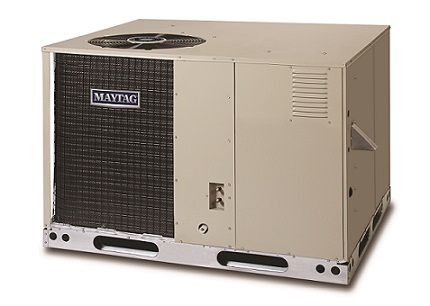 The Maytag M1200 PSH1BE air source heat pump could be the solution to your heating and cooling needs. 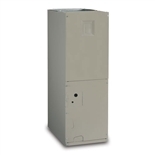 When you pair this unit with an air handler or gas furnace that has an energy-efficient motor, you can maximize the efficiency and comfort of your home heating and cooling system. Increase Comfort with Multiple Stages of Operation: Two-stage heating and cooling performance increases a homes comfort levels. This is because two stages of operation result in more even temperatures and better dehumidification capabilities. Increased Durability with Stainless Steel: This units stainless steel jacket provides durability and a high degree of corrosion resistance. Tough and Reliable: This unit is constructed using heavy-duty maerials - like the galvanized steel jacket coated in a corrosion-resistant, polyester-urethane finish. This up to 16-SEER heat pump offers premium comfort levels and energy-efficient performance. Through proper system matching, you can maximize the efficiency of this unit. With the right furnace and coils or air handler, you can get up to 16-SEER cooling efficiency and 9 HSPF heating efficiency. Industry-Leading Heating Efficiency: At 95% AFUE, this gas/electric packaged unit reaches an unprecedented level of heating efficiency when compared to other gas packs in the industry.